Many places in western Japan are suffering severe damage caused by torrential rain caused by a seasonal rain front. CAMPFIRE made the decision to collect donations for emergency support to communities and people living in the damaged areas. The donations will be delivered to those areas as contributions to municipal initiatives or as funding for support groups. 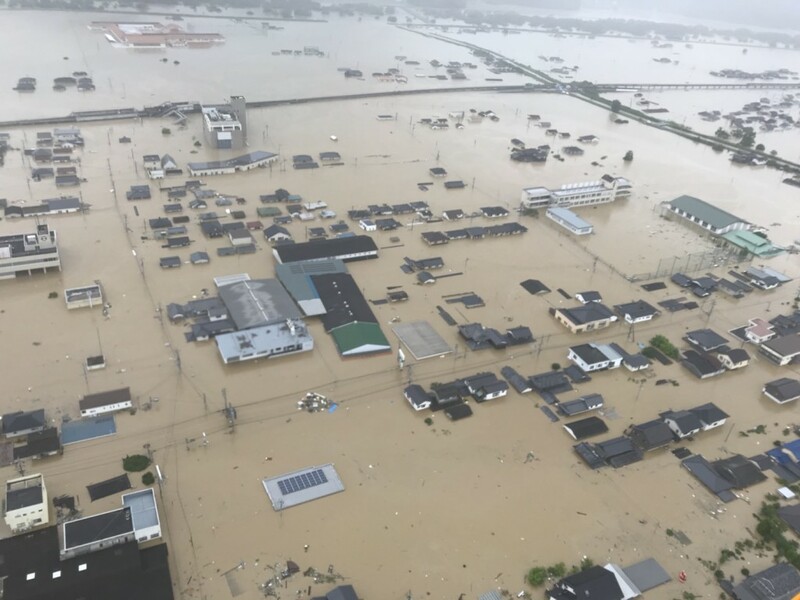 Because of an active seasonal rain front, record torrential rain attacked a wide area of western Japan, from Kyusyu to the Tokai area, and caused large damage. CAMPFIRE announced that it would collect emergency support funds. The donations will be delivered to local governments or to support groups, such as PEACE WINDS JAPAN. Immediately after the disaster, PEACE WINDS JAPAN formed a joint emergency supporting team with their partner organization, ASIA PACIFIC ALLIANCE JAPAN (A-PAD) and Civic Force. This joint emergency supporting team investigated the situation of damage with helicopters around noon on 7th July. The investigation was done mainly around Hiroshima Prefecture and Kurashiki City, Okayama, which were the most severely damaged areas. Currently, PWJ works with the Self-defense forces and sends patients who need to evacuate from Mabi Memorial Hospital in Mabi town, Kurashiki city, Okayama, to other hospitals. 35 patients who had been left in Mabi Memorial Hospital and needed to be evacuated were rescued by rubber boats and ships. One patient who required emergency transportation was sent to Okayama University Hospital by helicopter with a nurse. These rescue activities are dealt with under the combined effort of HuMA, Civic Force, A-PAD. ・We don’t take any commission for this donation other than the payment charges.